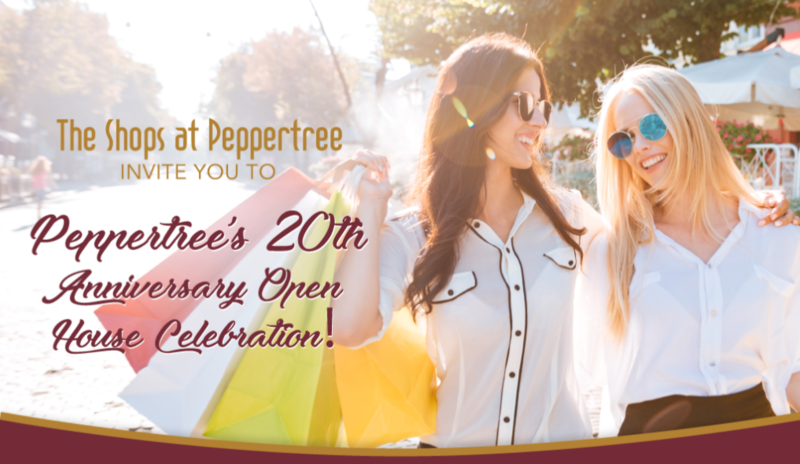 The shops at Peppertree are excited to celebrate 20 years in business! 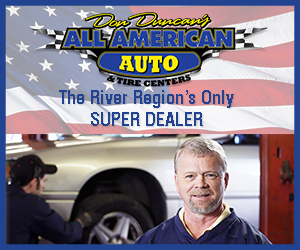 For one weekend enjoy amazing discounts at all three locations! Each business has different hours of operation so confirm with your favorite shop what days they will offer these specials! Peppertree Steaks and Wines is offering 15% off with the purchase of 4 or more bottles as well as 15% off all steaks! Also, they are offering 25% giftware and 1 FREE Vegetable Casserole with the purchase of 2 meat casseroles! Montgomery Super Suppers is offering a FREE small Pimento Cheese with purchase of an entree! Bella Montgomery is offering giveaways all weekend! 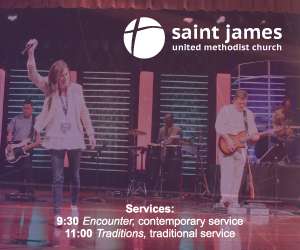 Register for three chances to win a FREE makeover or a $150 gift card towards services! Papa Johns is offering a FREE dessert with purchase of a pizza! Peppertree location only. Montgomery Multisport is offering discounts on almost everything in the store with up to $1,000 off select bikes! Bella Montgomery is offering 15% off EVERYTHING in the store excluding services and sale items! Doug’s 2 Salon and Spa is offering 20% off spa packages! Candle Cabin & Gifts will be hosting giveaways all day long including a $100 gift card! 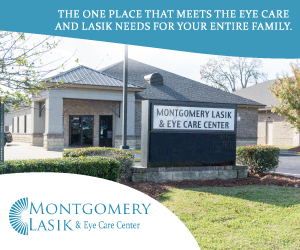 Montgomery Family Karate Center is offering FREE uniform with Class Registration! Kenneth Edwards: Allstate Insurance is offering a $10 GIFT CARD to everyone who comes in for a quote!